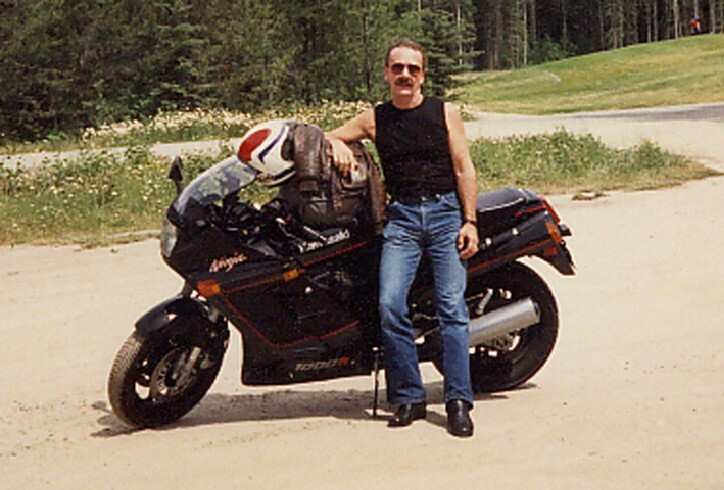 Occupying a unique position in Canadian motorcycling, Bar Hodgson has immersed himself in two-wheel sport and business for more than 50 years. Among many qualifications is his role as founder of the Canadian International Motorcycle Heritage Museum Foundation, whose hospitality we enjoy this evening. Born in Toronto in 1938, Bar wasted little time in deciding that motorcycles were for him. The year 1953 heralded a number of events: the notorious film, The Wild One, Bar’s 15th birthday, his motorcycle licence, and his first bike, a tiny Corgi scooter bought for a princely $15. In an interview a few years ago with historian Ed Youngblood, Bar commented, “Motorcycles meant freedom and adventure to me. That movie was about living outside the boundaries of the ordinary, and the motorcycle was a vehicle that could take you there.” Faced with paternal disapproval over his purchase, Bar was told to take the scooter back, but the seller would only exchange it for a rifle. This infuriated his father even more, so the Corgi stayed. Bar Hodgson from Northern Ontario Motorcycle on Vimeo. The undersize Corgi gave way two years later to a 1938 BSA single, and then to a 1952 Triumph Thunderbird. The T-Bird was similar to Marlon Brando’s mount in the film and came from a young George Chuvalo, already well on his way to becoming a Canadian boxing legend. At age 20, Bar formed and became president of the Chelecos Motorcycle Club, a group affiliated with the American Motorcycle Association. Looking for a creative outlet, he built his first chopper a year later and began a long involvement with custom motorcycles. 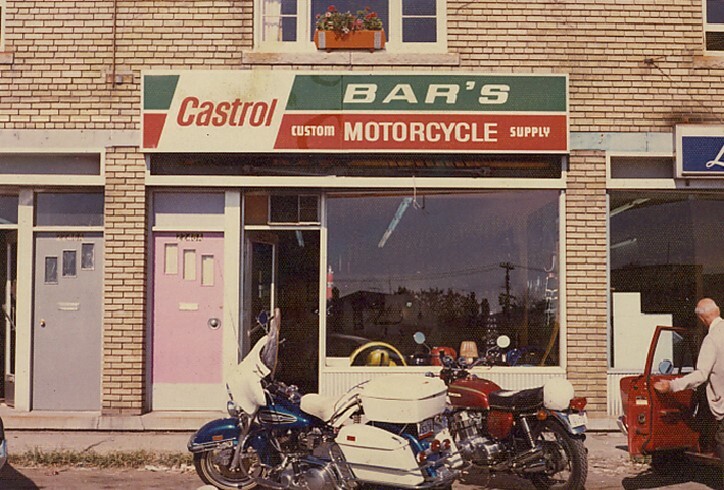 That interest became a business in 1963 with the opening of Bar’s Custom Motorcycles on Gerrard St. East in Toronto. Racing was a natural outlet and, in 1966, he became national champion in his class of CMA drag racing. Taking advantage of the sales boom in Japanese motorcycles, Bar opened a Kawasaki dealership on Kingston Road in Scarborough in 1972 which he named The Superbike Centre. The celebrity guest for his grand opening was Kawasaki’s star racer, Yvon Duhamel. Bar’s timing was good, as that year heralded the arrival of Kawasaki’s famous Z-1 which offered a whole new level of performance and sales opportunities. With the motorcycle business brisk, Bar looked farther afield in 1976 and began to publish Canadian Motorcycle Dealer magazine. 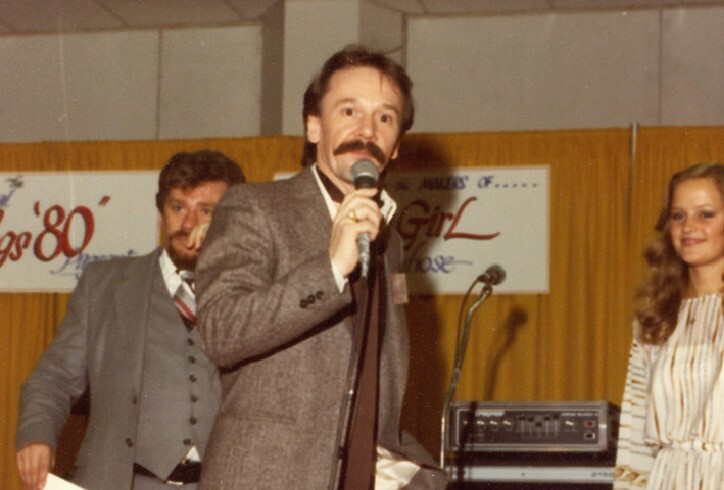 The next year, he formed Bar Hodgson Productions as he moved into the motorcycle show business. Miffed that the newly-launched Cycle Canada show in downtown Toronto did not provide for dealer participation, he bought a motorcycle flea market and moved it from a farmer’s field on Highway 27 to the International Centre on Airport Road, and named it the International World of Motorcycles. By 1991, it was renamed the North American International Motorcycle Supershow, and came to encompass the largest floor space of any bike show in North America. 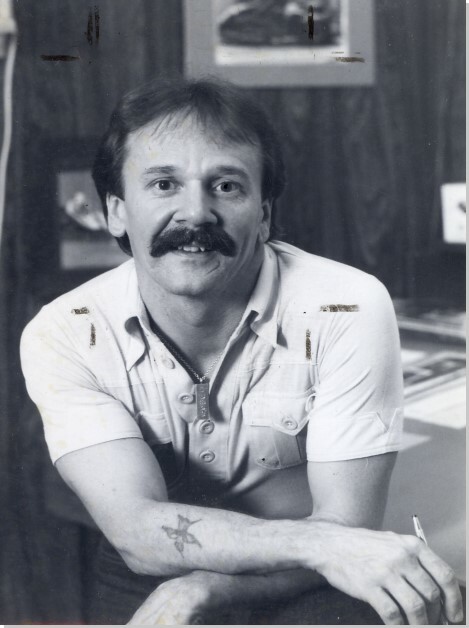 For a period of time, it became a series with shows added in Ottawa, Edmonton and Moncton; in 1983, Bar also expanded his media interests with a pilot for the first North American TV series called The World of Motorcycles. He also became senior vice-president of the Canadian Association of Exposition Managers. 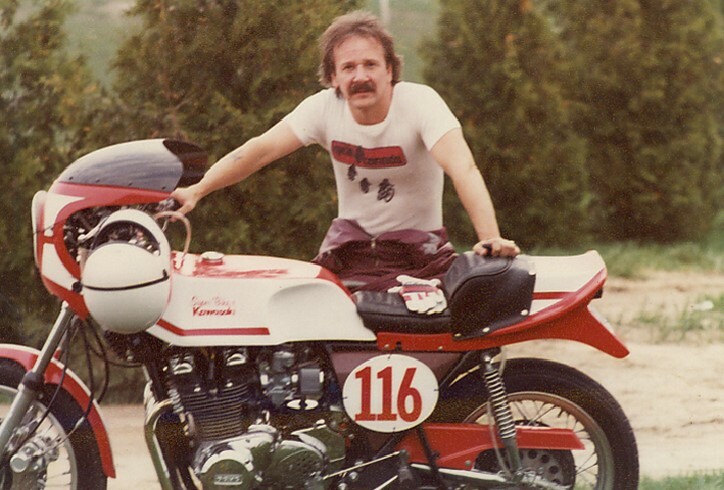 Business success allowed Bar to indulge his passion for preserving motorcycle history, and he began to build his collection of road and racing machines that now numbers 275 motorcycles. These are often brought out for public display at shows and other events. In 1997, he launched the Mosport Rally for Sportbikes which, the next year, became Mosport Bike Week and also included national road races. 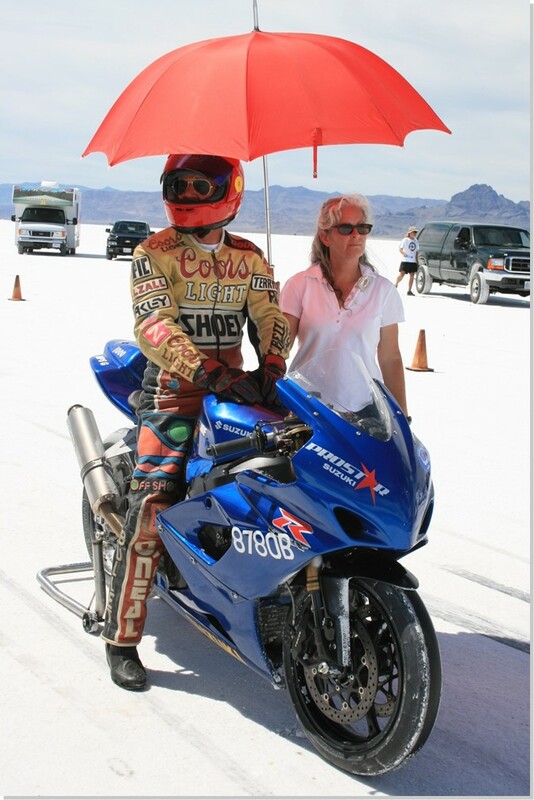 Bar became sponsor of the amateur road racing class of the national series and sponsored superbike racer, Jeff Sneyd. Bar took to the track himself, celebrating his 60th birthday racing a fearsome TZ750 Yamaha in vintage events. 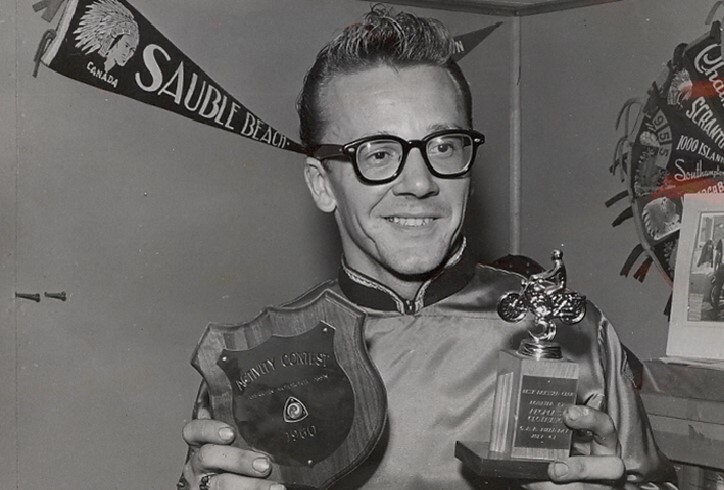 He’s been honoured twice by the Vintage Road Racing Association for his contributions and support, while other awards include recognition from the BAD Ride, University of Toronto Formula SAE race team, and the Childhood Cancer Foundation. Ten years ago, Bar and his wife, Hedy, established the Canadian International Motorcycle Heritage Museum Foundation and, in 2005, added to its mandate the Canadian Motorcycle Hall of Fame. The following year brought, with vital help from Dave Lloyd, the inaugural Hall of Fame induction banquet and, in 2007, Bar and Hedy gifted the Foundation and Hall of Fame to the motorcycle community with the Motorcyclists Confederation of Canada as administrators. Last year, Bar hit the age of 70 with a bang when the Team Arrow streamliner he was piloting at the Bonneville Salt Flats got out of shape and crashed at 290 km/h. With remarkably few injuries, Bar was able to climb out of the cockpit and walk away. In January of 2009, Bar announced the sale of 50 per cent of the corporate shares of North American International Motorcycle Supershow to Richard Kehoe Productions, magazine publisher and long-time producer of the Toronto International Snowmobile, ATV and Powersports Show. The Motorcycle Supershow will enter its 34th year as a joint production of the two companies.